The Center for the Advancement of Science in Space (CASIS), which operates the national lab portion of the ISS, argues it's making progress in increasing utilization despite a critical report by NASA's Office of Inspector General and long-term concerns about the station's future. WASHINGTON — Despite reports that the administration will seek to end NASA involvement in the International Space Station in the mid-2020s, the nonprofit organization that operates the national laboratory portion of the ISS is more concerned with near-term utilization issues. The annual meeting of the board of directors of the Center for the Advancement of Science in Space (CASIS), held Jan. 30 in League City, Texas, focused primarily on the progress the organization was making in opening up the station to a growing number of users, amid concerns by NASA's Office of Inspector General that the organization is falling short of expectations in its agreement with NASA. "By many measures, fiscal [year] '17 was a banner year for the ISS National Lab," said Greg Johnson, president and executive director of CASIS, in a presentation at the board meeting. "Demand from the commercial sector for the use of the lab is expanding rapidly." Johnson and other CASIS officials at the meeting cited recent growth in the number of research and education payloads flown to the station and increasing use of astronaut crew time there, using those figures to project continued, linear growth in station utilization for the next several years. Ken Shields, director of operations for CASIS, noted that through fiscal year 2017 the organization has 190 projects in its portfolio, of which 105 were commercial. That figure includes projects currently on the station or selected for flight, as well as those that have already flown. "We've seen a nice, steady growth trend over the past five years," he said, maintaining a similar ratio of commercial projects to the overall total. He said that CASIS projected having 375 total projects, of which 200 would be commercial, in its portfolio by 2022. The rosy picture of current usage and future trends contrasts with a more pessimistic assessment by the NASA Office of Inspector General (OIG) published Jan. 11. That report reviewed the agreement between NASA and CASIS awarded in 2011 where CASIS manages the portion of the U.S. segment of the station designated as a national laboratory in a 2005 NASA authorization act. That agreement is in the form of a contract running through 2024, with NASA paying CASIS a total of $196 million over that period. The OIG report concluded that CASIS had met expectations established in 2011 agreement in only two of nine areas, development of research pathways on the ISS and education programs focused on science, technology, engineering and mathematics. The report also criticized NASA for not being more involved in overseeing CASIS' activities "that has contributed to the organization's inability to meet expectations." One performance metric where the OIG report found CASIS falling short was in crew utilization. The organization has failed to make full use of the crew time allotted to it by NASA for its research projects. In the last period analyzed by OIG, from September 2016 to April 2017, CASIS used 68 percent of the crew hours provided by NASA. In some prior six-month periods, dating back to September 2013, CASIS used as little as 33 percent of its allotted crew hours. At the CASIS meeting, organization officials offered a different perspective, focusing on the growth in crew hours it used the last few years. Shields said that, for all of fiscal year 2017 — a period that includes data not analyzed for the OIG report — CASIS used all of its crew time allocation and them some: a total of 758 hours versus the allocation of 731 hours. Shields, again using linear projection trends, estimated that CASIS would need 1,700 hours of crew time by 2022. However, he acknowledged that CASIS is currently not able to take advantage of the additional time available with four astronauts in the U.S. segment of the station versus the usual three. "Unfortunately, we have just not been able to generate enough projects to consume that additional crew time, so we're going to see a little bit of a downward trend," he said. The OIG report was also skeptical that CASIS would be able to take advantage of the additional crew time with the fourth crew member. "However, given its performance to date, CASIS utilization rates for the National Lab will likely further diminish," the report warned. The report called on NASA to more closely oversee CASIS, including semiannual performance reviews and requiring the organization to focus more of its resources on program development versus education and operations. It warned that, without significant changes, "CASIS likely will fall short of advancing NASA's goal for a commercial economy in low Earth orbit." The board meeting did not take up the substance of that report, although CASIS officials acknowledged there was room for improvement as they work to increase station utilization. "Where we fall short, we continue to learn, refine our processes and get better and better," Johnson said. Among those changes, he said, was a plan to double the number of business development staff at CASIS this year. "This will enable this exponential growth that we're seeing in commercial interest to continue, and we expect to see more traction as a result," he said. The three-and-a-half-hour meeting made little mention of long-term plans for the station, despite reports that the Trump administration, in its fiscal year 2019 budget proposal for NASA to be released Feb. 12, will seek to end NASA support for the ISS in the mid-2020s. There were some allusions to a potential end of ISS operations as soon as 2024, though. 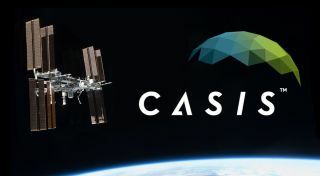 "We understand that there's limited time left on the ISS National Lab, and we know we need to get projects in now," said Cynthia Bouthot, director of commercial innovation at CASIS. Asked during a public question-and-answer session late in the meeting about any planning for an end of the ISS in the mid-2020, retired Air Force Lt. Gen. James Abrahamson, chairman of the CASIS Board of Directors, offered few specifics, providing instead a more general view of the mission of CASIS. "The best way that we can plan for anything in the future is to really work effectively to create this market and to be successful," he said.